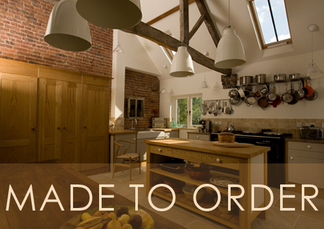 Foal Yard Kitchens - Website of foalyardkitchens! Our showroom is located in a beautiful complex of converted barns at Foal Yard Bransford Worcestershire WR6 5JB on the A4103 between Worcester and Hereford. The showroom displays our kitchens with a wide range lighting and high quality cookware and kitchen accessories that add that perfect finishing touch to your project. 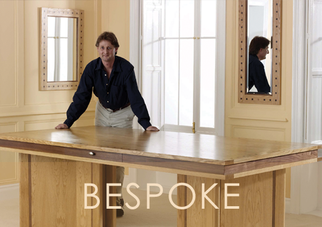 Jeremy combines thirty five years of furniture design and cabinet making for well respected clients such as Rolls Royce, Liberty, Harrods and Wedgewood. His experience has enabled him to see through the ever changing fashions, giving his kitchens practical simplicity and timeless endurance. Our kitchens are designed for the way you cook and to make the most of the space in which you live. You will be involved in every step of the creation of your kitchen. Seeing your kitchen being designed, crafted, finished and fitted. Design and craftsmanship are at the heart of the Foal Yard's “hands on, quality focused philosophy”. Our studio is devoted to exploring new designs that can be produced combining traditional hand finishing and state of the art wood machining techniques. This enables us to provide a permanent range of kitchen furniture that is both practical as well as visually exciting.